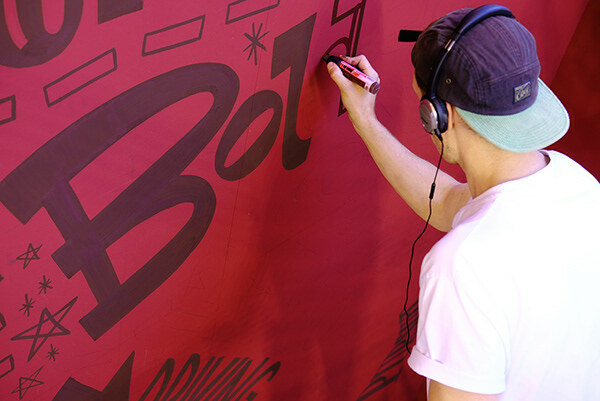 Tobias Hall is a freelance illustrator, letterer, designer and mural artist from London. 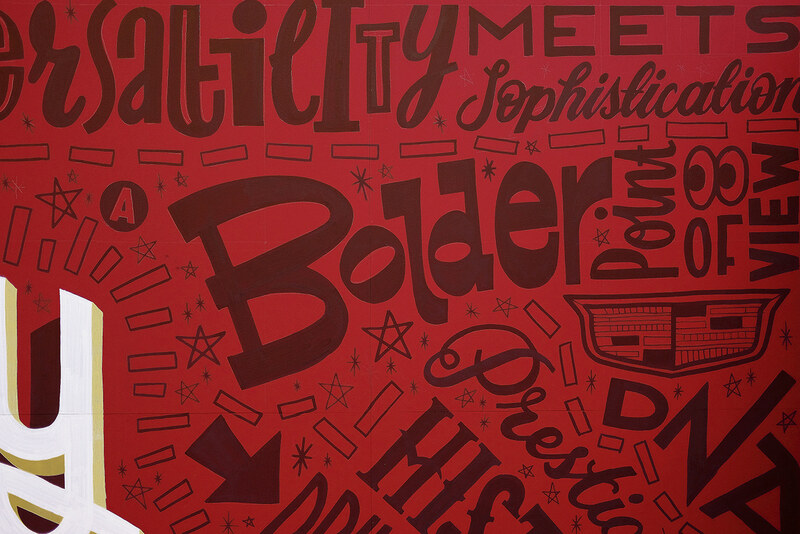 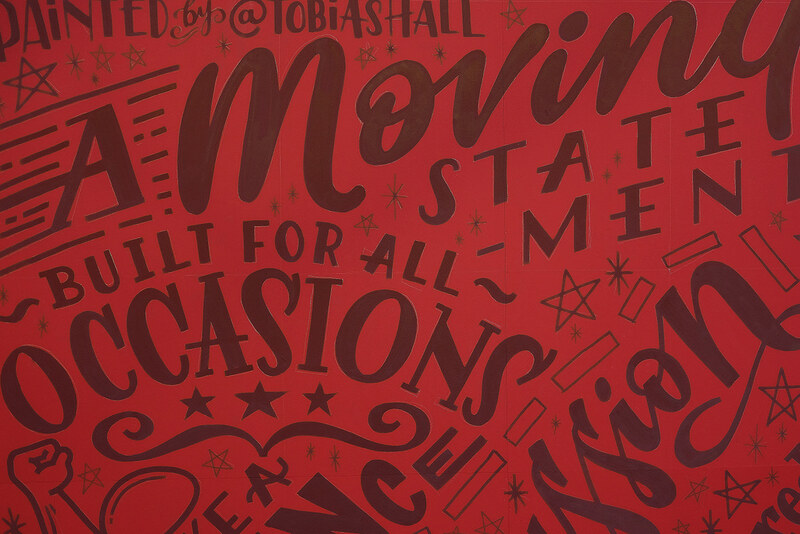 As a conceptual illustrator, Tobias started working with typography and lettering soon after graduating in 2010. 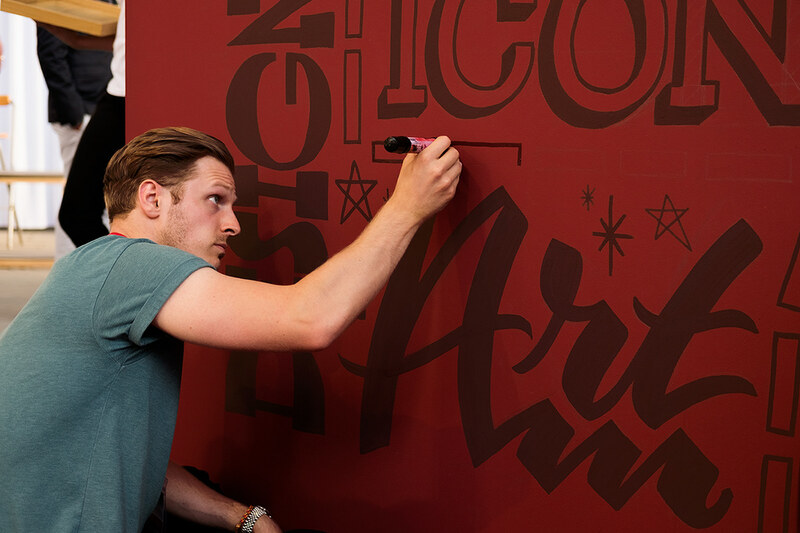 His list of clients include YouTube, Cadillac, Warburtons, Toyota, Mount Gay, Converse, TIME Magazine, wagamama, Comic Relief, KFC, Netflix, Vodafone, Holiday Inn, to name a few. 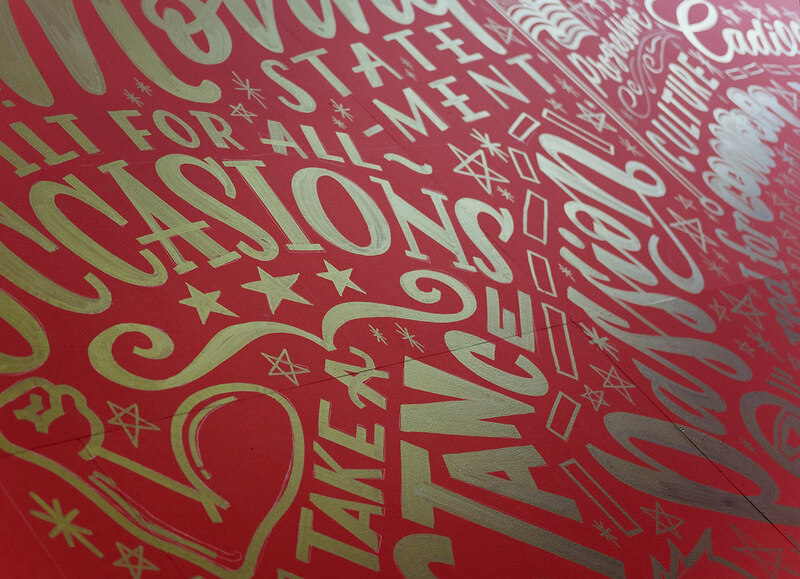 We are charmed by his collection and we’re impressed with his work. 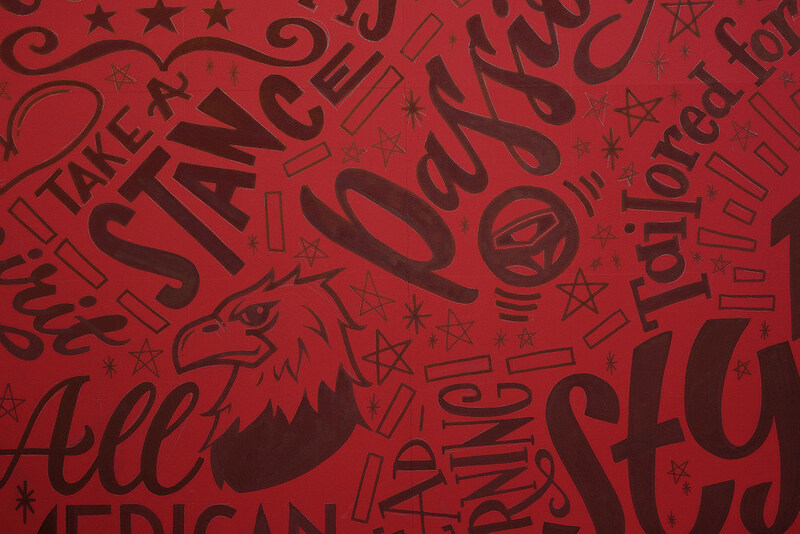 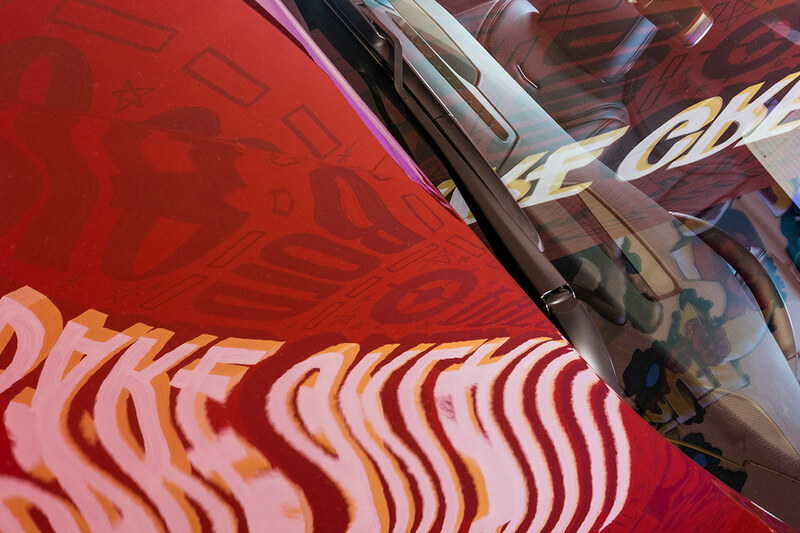 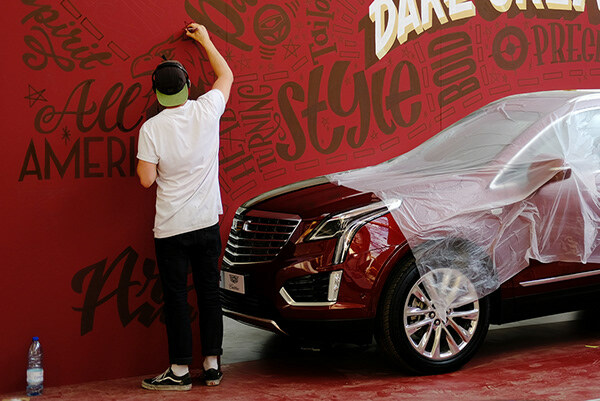 Tobias has lots of amazing creations but we have decided to showcase his Cadillac Mural illustrations. 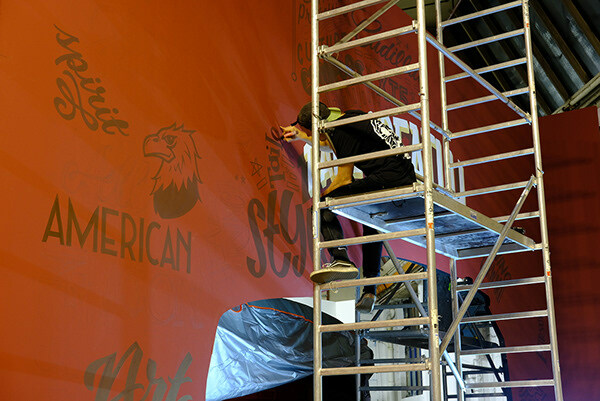 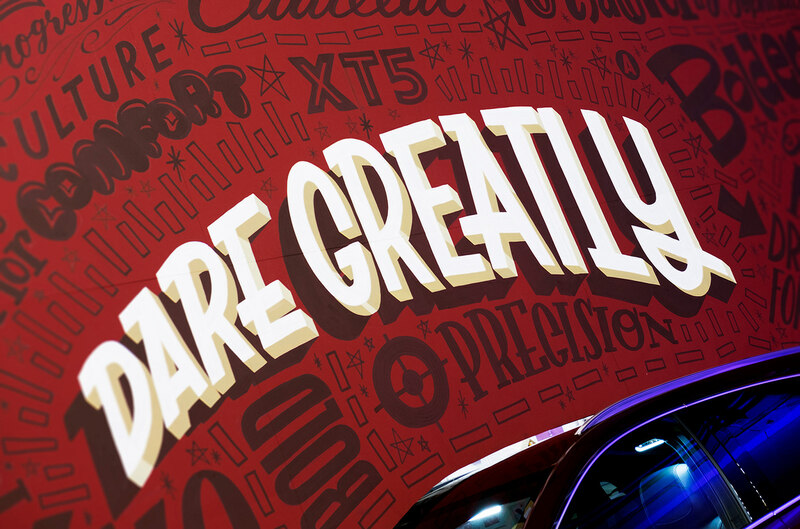 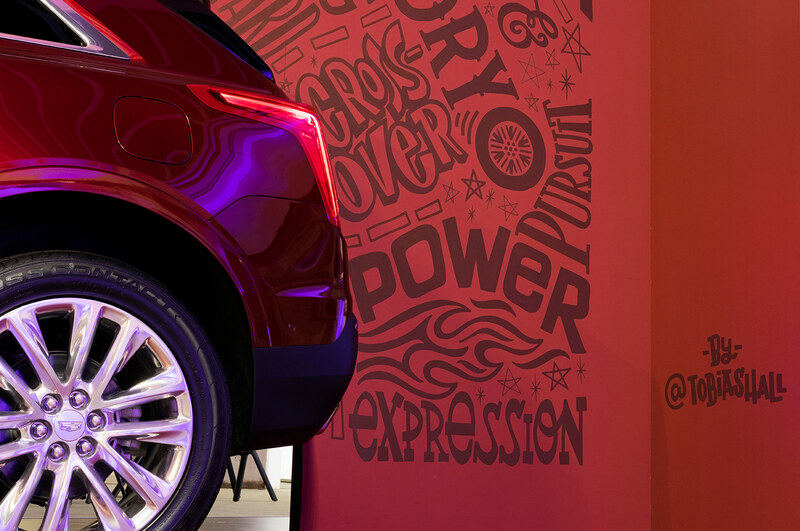 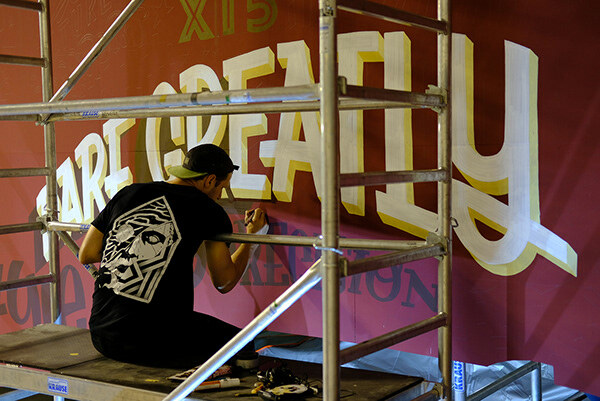 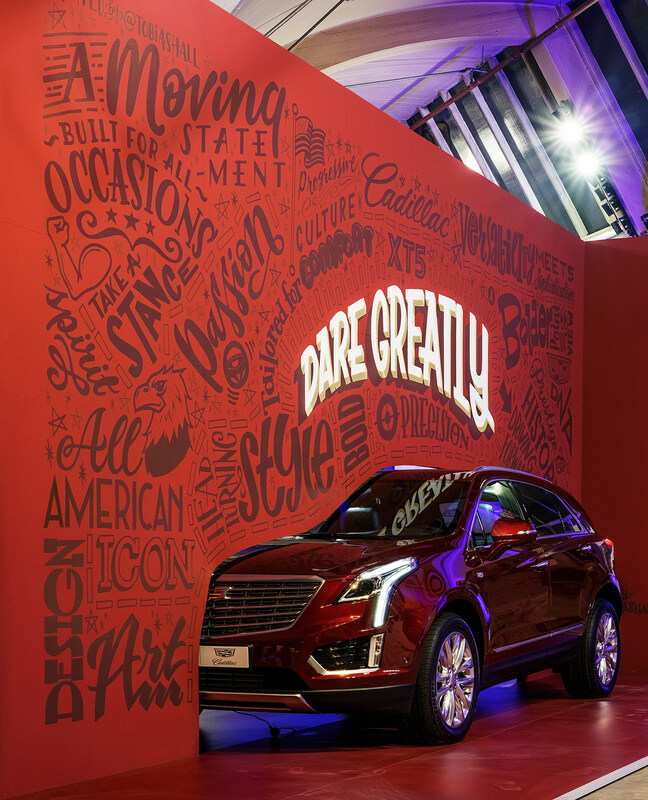 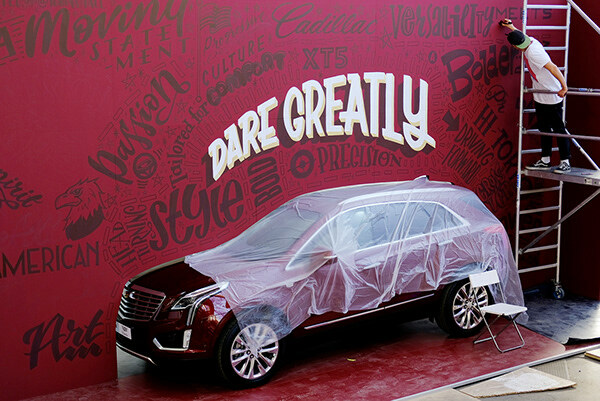 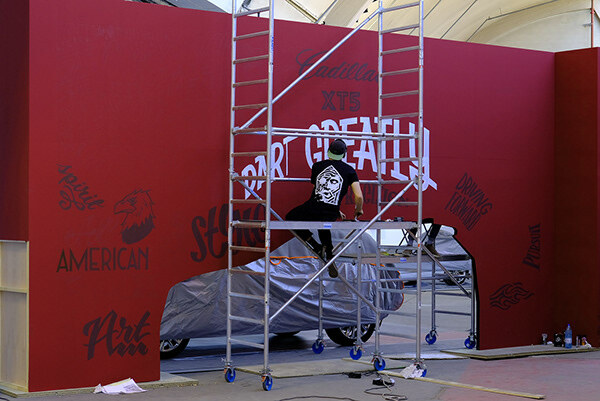 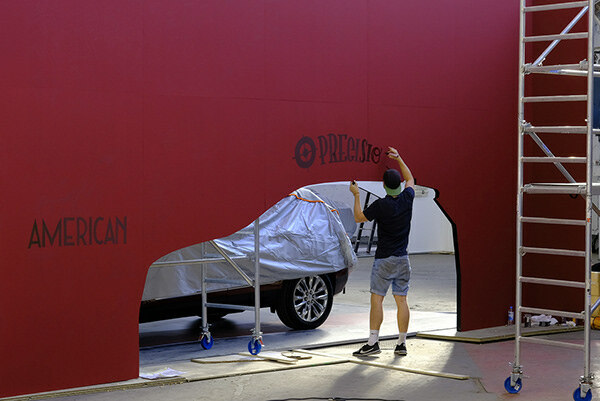 He painted a big ol’ mural for Cadillac at Stroke Art Fair in Munich. 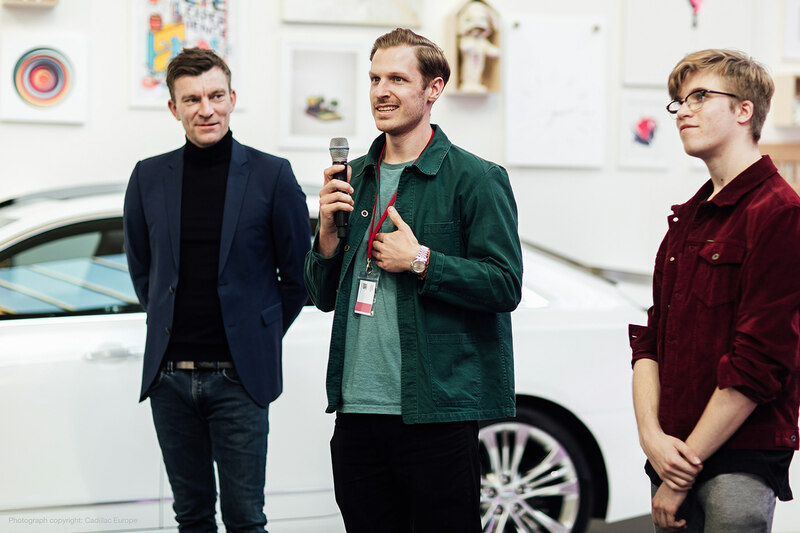 The “Handlettering” experts Tobias Hall and Mark van Leeuwen introduce their eye-catching artwork to Florian Spinoly, Direktor Marketing, Product und PR, Cadillac Europe (far left and Stroke visitors).